In-house 3D modelling with a Dimension 3D FDM Printer is a cost-effective way to improve your designs & reduce risk by working iteratively. With the Elite, the proof is in the prototype. Print detailed, intricate 3D models right in your office. Bring your ideas to life in every detail. Print functional, durable 3D models of your most intricate product designs with the Stratasys Dimension Elite 3D Printer. It turns your 3D CAD files into models with fine feature detail; models that you can not only examine, but test. Ideal for printing 3D product mockups and functional models of parts such as medical devices, mobile electronics and precision instruments. 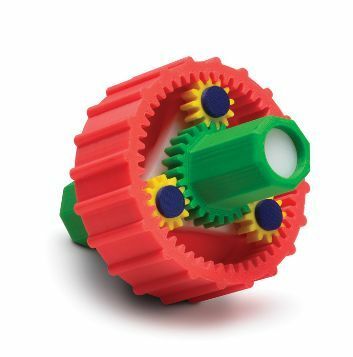 Just click “print” to prep the CAD file and print the model, then remove the support material to reveal your detailed design in three dimensions. Packaged to perfection, the Dimension Elite 3D Print Pack is all about the details. With its 8" x 8" x 12" (203 x 203 x 305 mm) build envelope, you'll be able to print more of your big ideas in one piece. You'll get your models in hours, not days and for the most efficient throughput, you can pack multiple models in the printer's build envelope & you can choose from 9 ABSplus colours. Production-grade thermoplastic for tougher 3D models. 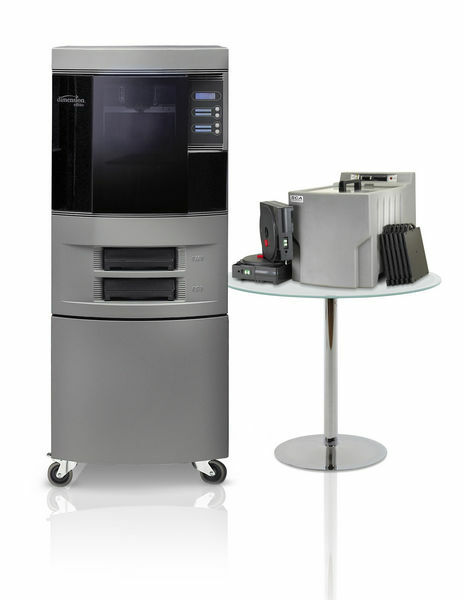 The Stratasys Dimension Elite 3D Printer uses ABSplus (TM) modelling material, a production-grade thermoplastic that is durable enough to perform virtually the same as production parts. 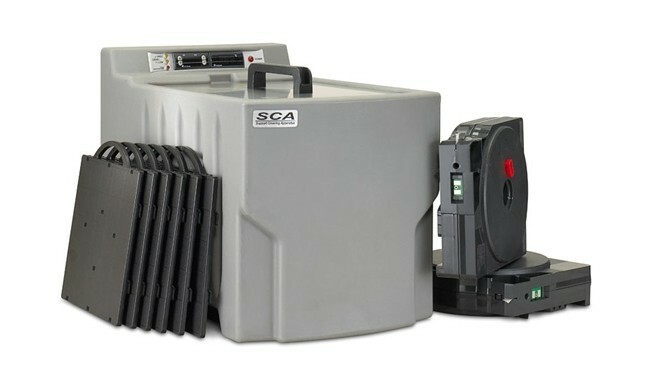 Models printed with Dimension 3D Printers have customer-proven toughness - from commercial sprayers tested at pressures up to 60 psi, to final parts on M1 tanks normally machined in aircraft-grade aluminum. At the core of every model: FDM® Technology. 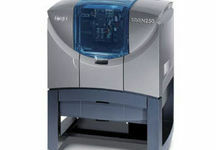 Stratasys FDM (Fused Deposition Modelling) Technology is the foundation for all Dimension 3D Printers. Models are printed from the bottom up with precisely deposited layers of modelling and support material. There’s no waiting for models to “cure” - they’re hard right out of the printer. 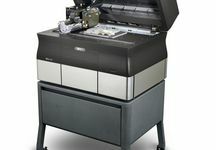 The Dimension Elite 3D Printer uses Soluble Support Technology, which dissolves the supports in a water-based solution. Then, models can be drilled, tapped, sanded and painted if desired for outstanding finished results, or use the model as is.